[S130] Massachusetts Vital Records, Vol: 232 ; Page: 297. [S130] Massachusetts Vital Records, Vol: 221 ; Page: 173. [S160] New York Times, 17 Mar 1929 p. N6. [S392] Website findagrave.com (http://www.findagrave.com/) "# 7232539." [S106] Maine Families in 1790, Vol. 7 p. 453 c.f. [S130] Massachusetts Vital Records, Vol. 248 p. 236. [S392] Website findagrave.com (http://www.findagrave.com/) "# 137589435." [S83] NEHGR, Vol. 116, p. 223. [S392] Website findagrave.com (http://www.findagrave.com/) "# 88693388." [S209] 1870 US Census, MUSCATINE, 2-WD MUSCATINE, 1870. [S205] Newspaper, Daily National Intelligencer, (Washington, DC) Thursday, October 23, 1823. [S232] Ancestry.com, Historical court records of Washington, District of Columbia. [S205] Newspaper, Daily National Intelligencer, (Washington, DC) Monday, January 30, 1837. [S392] Website findagrave.com (http://www.findagrave.com/) "# 33685308." [S313] Washington Post, 16 Feb 1912. [S392] Website findagrave.com (http://www.findagrave.com/) "# 135387782." [S83] NEHGR, Vol. 92 p. 276. [S392] Website findagrave.com (http://www.findagrave.com/) "# 143078130." [S365] Eben Graves, The descendants of Henry Sewall. Vol. II (Unpublished), p. 298. [S313] Washington Post, 24 Aug 1908. [S313] Washington Post, 31 Jul 1955. [S313] Washington Post, 21 Aug 1908. [S205] Newspaper, The Old Town Enterprise, 16 June 1917. [S392] Website findagrave.com (http://www.findagrave.com/) "# 57665215." [S365] Eben Graves, The descendants of Henry Sewall. Vol. II (Unpublished), p. 307. [S205] Newspaper, Chicago Tribune (IL) - February 13, 1945. [S205] Newspaper, Chicago Tribune 13 August 1965. DEATH OF THEODORE L. SEWALL. One of the Prominent Educators of Indianapolis - His History. o'clock at the family residence on North Pennsylvania street. For a number of years Mr. has known that his life was in danger from tuberculosis. Two years ago he spent the winter South and last winter and spring he was in New Mexico and Arizona, having given up all business in the hopes of recovery. He returned to Indianapolis late in the spring and was here for several weeks. A specialist came on from New York to see Mr. Sewall and advised his going to a sanitarium at Poughkeepsle. N.Y. This Mr. Sewall did, but found he was not benefited and returned home the last day of November. Soon after his return he became worse and went to bed, and his decline since that time has been gradual. Mr. Sewall was a gentle man, kind, courteous, a scholar of high attainment, and one whose character, honesty of purpose and unwavering fidelity stamped him as unusual. Mr. Sewall came to Indianapolis in 1867 to make a visit. He was asked to start a preparatory school for boys, and in September of that year he opened the Boys' Classical School. Associated with him as an advisory board were some of the most influential men of the city, including Albert Fletcher, A.W. Hendricks, N.A. Hyde and others. Mr. Sewall also had a fine corps of instructors. The school was a success and the property at the northwest corner of Alabama and North streets was bought by Mr. Sewall for the school. 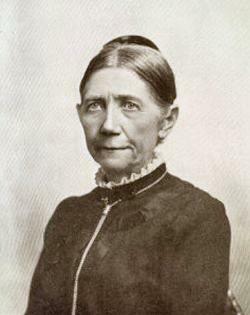 In 1880 Mr. Sewall married Mrs. May Wright Thompson, one of the leading teachers in the Indianapolis High School. In 1882 they opened the Girls' Classical School, which was a success from the start Both schools were carried on, Mr. Bewail having charts of the one for boys and Mrs. Sewall the one for girls. This was continued until 1889, when the boys' school was sold and both Mr. and Mrs. Sewall devoted themselves to the girls' school. Mr. Sewall taught languages and other branches and on him devolved the financial management for which he was pre-eminently qualified. He was a good business man and the success of the school was his great ambition. Mr. Sewall was a man of fine literary tastes and one of the most prominent members of the Indianapolis Literary (formerly the Gentlemen's Club). He was president the season of 1890-1891, and was its secretary several years. All his work in the club was valuable and thoroughly prepared. One, in particular, which created great interest was a history of the club with sketches of the prominent members, which is described as "an interesting characterisation of individuals." Another paper was a review of "Marie Bashkirtseff," of fine literary quality. He was a fine critic and discriminating; a modest man, so much so that only those who knew him well realized his real worth. He was one of the organizers of the Contemporary Club, and served as its secretary four years. He was also a member of the Art Association. In faith Mr. Sewall was a Unitarian. He was identified with the First Presbyterian Church. His parents have been telegraphed, and other relatives also. The time for the funeral, which will be conducted by Rev. M.L. Haines and Rev. N.A. Hyde, will be announced later. Sewall. Mr. Sewall attended school at Wilmington, Del. and entered Harvard College in 1870 and was graduated in 1874, the seventh Sewall in the direct line to receive a degree from Harvard. Mr. Sewall continued for two years, taking a post graduate course and receiving the degree of LL.B. He has entertained many noted people, and among his guests was President Eliot, of Harvard. His father and mother and brother Frederick will arrive to-day from Chicago, and his brother, E.D. Sewall, will come tomorrow from Milwaukee, and a sister from Connecticut. The funeral will probably be held Thursday. [S205] Newspaper, The Milwaukee Sentinel, (Milwaukee, WI) Tuesday, December 24, 1895. [S392] Website findagrave.com (http://www.findagrave.com/) "# 46013223." [S205] Newspaper, The Indianapolis Journal, 24 December 1895. [S205] Newspaper, Columbian Centinel, 11 May 1833. [S392] Website findagrave.com (http://www.findagrave.com/) "128115444."